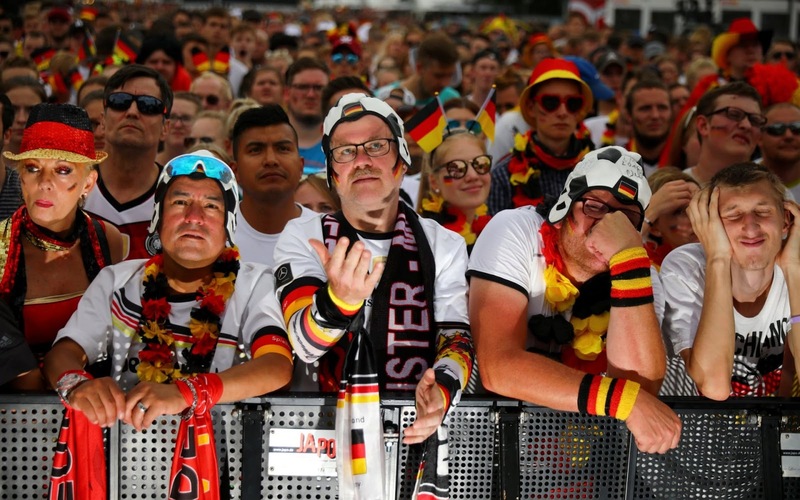 Germany fans react as they watch the match at a public viewing area at Brandenburg Gate. 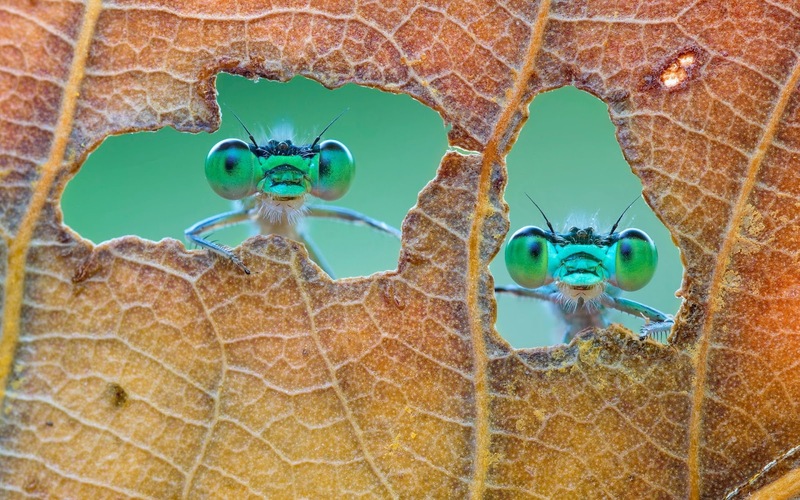 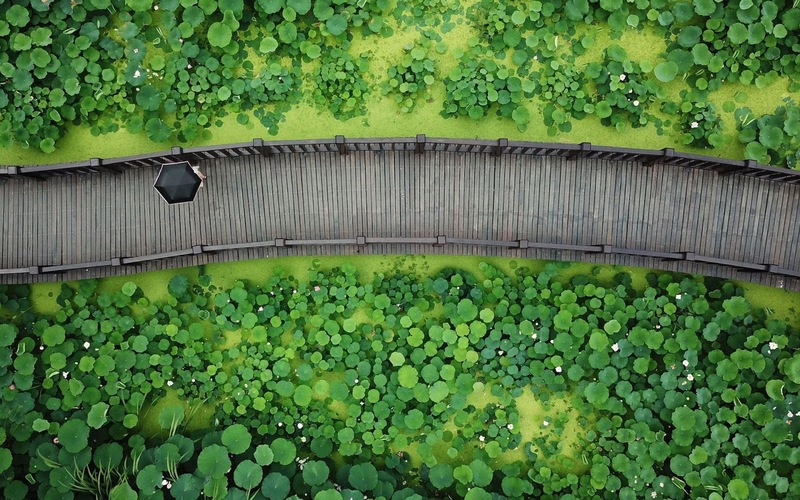 Two Damselflies are captured in incredible detail as they peer through holes that they have munched out of a leaf near the river Po in Reggio Emilia, Italy. 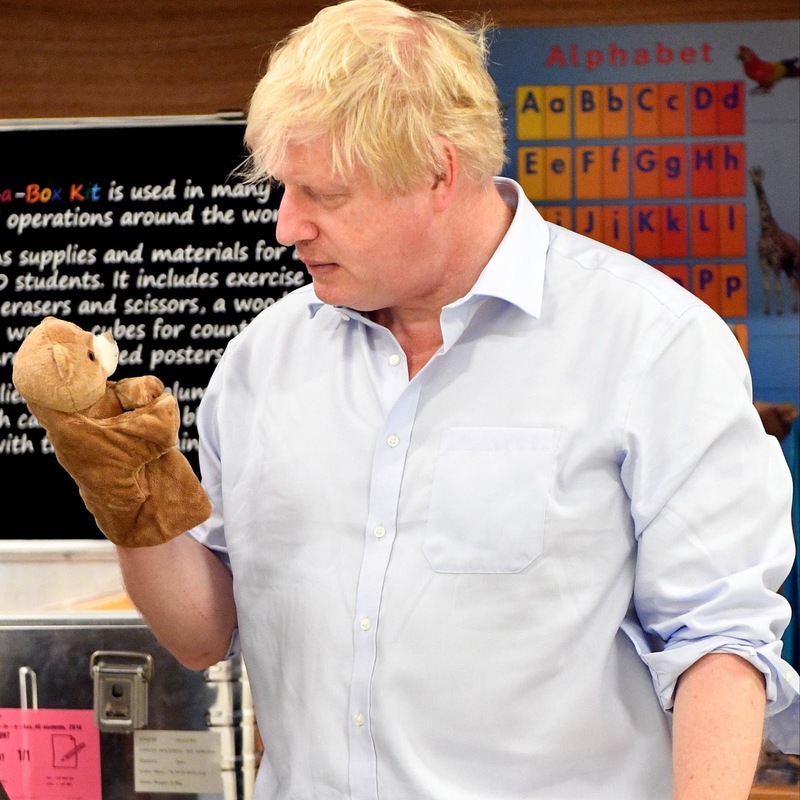 Foreign Secretary Boris Johnson visits the Unicef Supply Division warehouse in Copenhagen, Denmark. 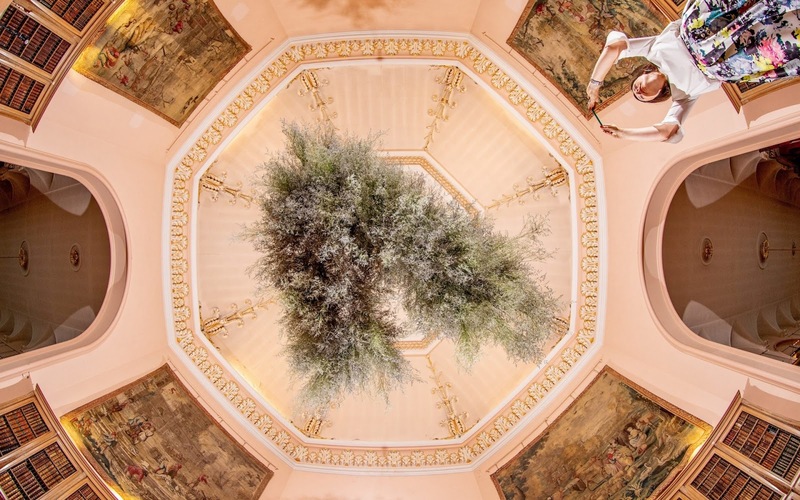 Sophie a member of the Castle Howard staff looks up at the Limoniun hanging in the centre of the Long Gallery at Castle Howard Flower Festival, North Yorkshire. 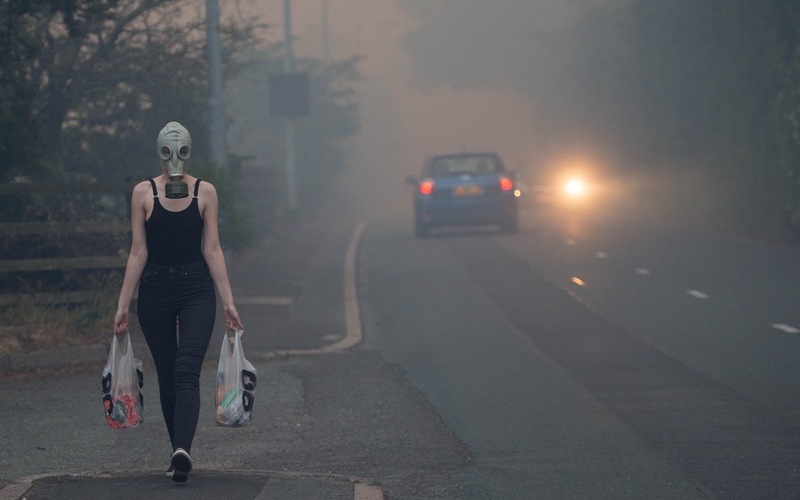 A woman wears a gas mask on the return from shops as smoke filled streets in Mossley. Fire crews launched a "heavy attack" to combat a vast blaze across Saddleworth Moor that has led to the evacuation of more than 30 homes, with strong winds driving flames closer to residential areas. 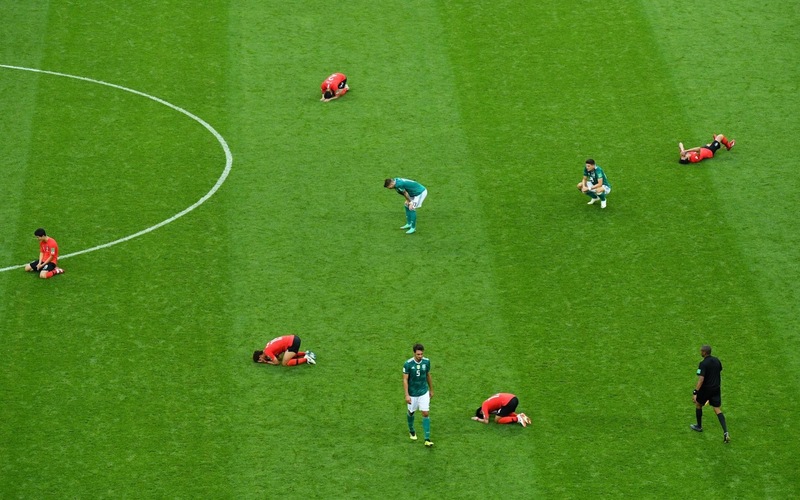 South Korea players celebrate an historic victory against reigning world champions Germany.